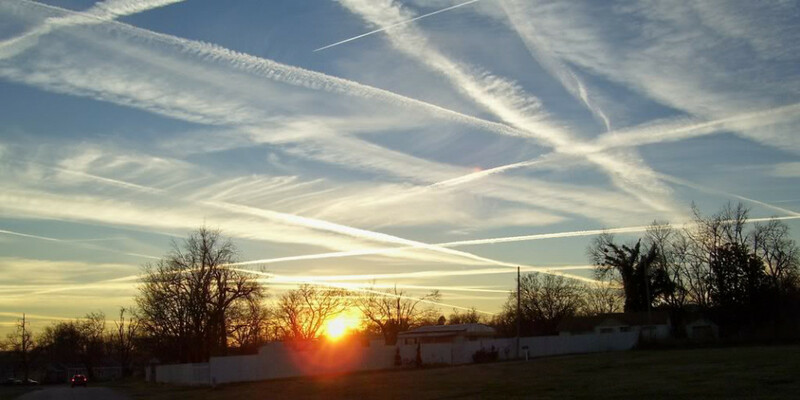 Many have observed the deployment of airborne chemicals by high-altitude aircraft, conspicuously criss-crossing the sky and creating a diffusing haze around the Sun. While the uninitiated may attribute such displays to be innocuous contrails, such blatant attempts to mask the increasing visibility of Planet X and its components around the Sun will ultimately fail and be remembered for the atrocities for which they were originally intended. poison populace on the move, migrating from urban areas toward enclaves of the rich. This has not changed. But as the testing on the populace was alarming them, with many doing pattern analysis and getting wise to the plot, they backed off. In addition, the US Military, who was to assist during the last weeks in using their planes and what was expected to be obedient soldiers, rebelled, and refused to poison US citizens. Thus the elite, which includes some elements in the US Military and NASA and Congress and certainly the current residents of the White House as well as the ultra-wealthy, have made arrangements for alternate spraying operations when the time comes. None of this will succeed, but they plot on. Meanwhile, they practice the spraying patterns and how to use the wind patterns using chemicals that fog the view, claiming they are trying to prevent the public from viewing the Planet X components. One can decipher their target migration routes by seeing where the fog drifts, and lands. They will fail at this, as the weeks leading into the shift are something the elite cannot imagine, and thus, they imagine their life will function as it does today. This plot will fail, utterly." "We have mentioned that chemtrails originally had the purpose of testing how well humans in the flight path could resist various microbes and chemicals that would sicken them. The point was to delay them as they attempted to migrate toward enclaves of the wealthy, for instance, to sicken those leaving LA and trying to reach Utah. Behind these tests was a more sinister purpose, to poison and kill the migrants. When the US military discovered the plan, being openly discussed at times in the back rooms of the White House, they rebelled and refused to have any part of chemtrail activity in the future. Where the campaign was being conducted by the wealthy, their plan was to use the US military when the time came, and without the cooperation of the US military, this plan could not succeed. Thereafter, chemtrails were used to fog up the view of Planet X. In some cases, tests were done to determine where the drift would go, where the chemtrails were pushed by the prevailing westerlies. Since sunrise and sunset are the danger times when Planet X might be sighted, these are the main fogging target times." a long history and some years ago evolved to be an experiment in how to make migrating survivors sick into attempts to fog up the sky so Planet X and its components could not be readily seen by the populace. This has been an elaborate enterprise, well funded by the wealthy, in an attempt to keep the public unaware of the nearby presence of Planet X until the last possible moment. This campaign is failing, despite renewed vigor, and this failure only partly due to the Red Filter Revolution which is allowing the common man to see the complex and even capture motion in the Moon Swirls. "What gives the campaign a Catch-22 aspect is that for every glimpse of the complex that is obscured, there is a question that is invariably raised. Why is this being done? Why the need to lay criss-cross across the skies so steadfastly? What are they hiding? Now they’ve got the public curious, and the matter has gone viral on the Internet, and has so much history that it can never be stamped out. The establishment would have been better off to merely leave the skies alone, as although an occasional Second Sun sighting would emerge, this would have had less impact than the deep suspicion that the establishment is hiding something, and lying about it." "Using chemtrails to hide the presence of the Planet X complex near the Sun is a bit like driving down the road at high speed with a foot on the brake the whole time. It stopped nothing. If anything it raised suspicions and curiosity. Chemtrails targeted high population areas, the cities, as even with light pollution at night the complex could be seen during the day. And those dramatic Second Sun sightings at dawn and dusk could be seen by all. The perpetrators tried to utilize the winds, so that the chemtrails would disburse and float over high population areas. It was a hopelessly flawed campaign." "After the announcement will it end? The campaign is funded by the wealthy, whose fear of the public rioting and surging out of control will if anything increase. Thus we anticipate the chemtrail operations to continue, as there will be an associated campaign to deny the presence of Planet X, despite the announcement, and to pacify the public so they remain on the coastlines and stay in their jobs. Nevertheless, the Planet X complex will become increasingly visible, will create an ever more violent wobble, and thus despite any attempt to blind the public with haze during the day, the public will not be confused." would only increase as the Planet X complex became more visible, and that this should be the anticipated response to the formal announcement that Nibiru, aka Planet X exists and is nearby. Those who have the most to lose will react to the truth with more than vehement denial, they will react with aggressive counter charges and smear campaigns. Despite Obama, Putin, and Xi forming a united front on revealing the truth, it will be claimed that this is a political diversion. Historically, a leader facing a restless populace has pointed over the border to some threat to quiet rebellion, and this will be claimed, that Planet X is a falsehood. "Today the chemtrail issue is fought primarily on the Internet, as the major media outlets will not entertain the subject. This will continue, with counter charges flooding the Internet. In these matters, it will be the wealthy who foot the bill. It will be claimed that any sightings of the Planet X complex in the skies is engineered to distract the public, using lasers or holographs. It will be claimed that earthquakes are engineered, manmade by HAARP, and that crop shortages and viral outbreaks are arranged so as to reduce the population. Such claims that the elite want to sculpt the populace are already being made, and are not altogether without validity. For every gain the truth makes, there will be a commensurate push to cloud the issue." 2009 newsletter. Since this 2014 video had gone viral on the Internet, they allowed a bit of the footage on Alex Jones website, InfoWars, included in a debunking video. What all this shows is that 1. Chemtrailing is very real, and 2. Alex Jones is a puppet of the establishment." Please post your images of chemtrails either personally photographed or found in online media along with the dates and locations. Thank you. essential validation of it's meaning this morning. That's exciting. only see normal contrails and jets on normal routes. Up-close video of chemtrail dispersal over the east coast of Russia during late June 2017. The onset of chemtrail release is clearly evident. Chemtrails have been designated as a new type of cloud by the World Meteorological Organization. Took this photo yesterday in Hamburg, Germany. Seem to be chemtrails. Time lapse videos of chemtrailing. Two weeks ago, satellite photos showing the island of Cypress almost completely obscured by trails left behind by jet aircraft, created a buzz in the media. As a result, the government announced it will investigate alleged ‘chemtrail spraying’ in the skies above Cyprus. Environment Minister Nicos Kouyialis confirmed that the government will look into the matter, after calls from Green Party MP George Perdikis. For years the Cyprus Green Party has highlighted their concerns about the issue. In 2011, they even launched a petition calling for a proper investigation into the chemtrail phenomenon, which they say is on the increase in the skies above the island. At the same time, a high altitude aircraft circled off the east coast of Cyprus, with satellite images showing the island from Paphos to Ayia Napa almost blanked out by what appear to be aircraft engine residue. The chemtrail theory holds that some trails left by aircraft are actually chemical agents deliberately sprayed at high altitudes for a purpose undisclosed to the general public in clandestine programmes directed by government officials. 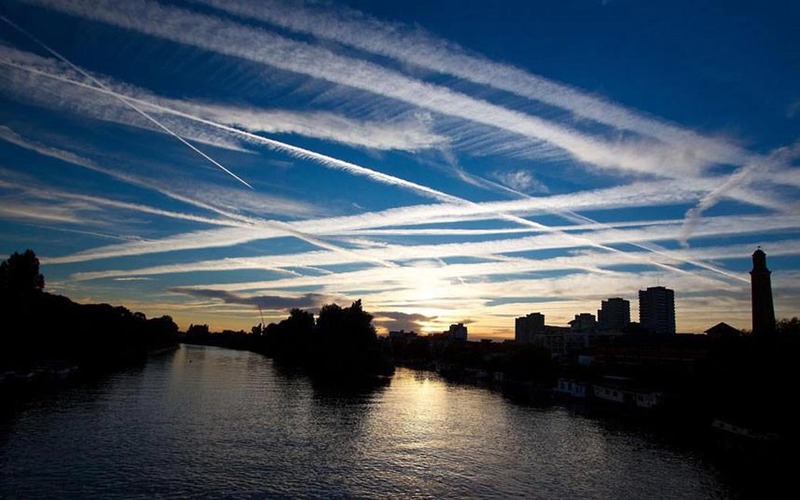 The existence of chemtrails has been repeatedly denied by government agencies and scientists around the world, who say the trails are normal contrails, or condensation trails made by the exhaust of aircraft engines. Strange cloud shapes over Chester resulted in many people taking to social media to share their images of the sky. Most agreed they were caused by 'chemtrails'. 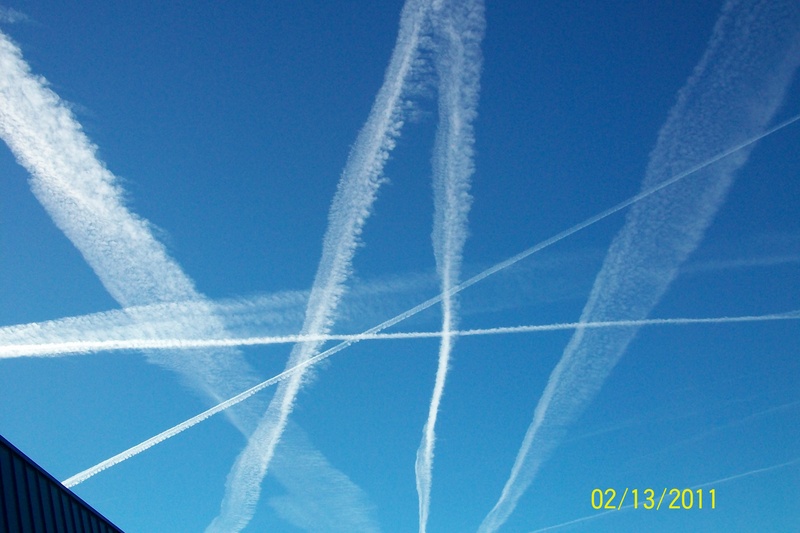 The Shasta County Board of Supervisors voted unanimously Tuesday afternoon to seek more information on “chemtrails” after nearly four hours of public comment on the issue. Supervisor Pam Giacomini put the item on the agenda, and a number of so-called chemtrail experts addressed the panel, followed by dozens of speakers who blamed a host of personal and environmental ills on airplane exhaust. Supervisor David Kehoe lauded Shasta County resident Dane Wigington’s efforts to put together the panel of speakers who addressed the board on the issue. He suggested a video be made for all elected officials to learn more about the issue. “Let them see the passion we saw here today,” he said. And that, in part, is what supervisors voted to do. A video of Tuesday’s presentation along with other information presented will be forwarded to state and federal agencies with jurisdictions related to air quality, transportation and the environment. “We’re not only sending them information, we’re also asking them for a response — and that’s never happened before,” Chairman Les Baugh said after the meeting. Regardless of where you stand on the issue, supervisor Giacomini said it was an important discussion to have when brought up by so many of the people she represents.